Beginners – Everyone starts at our Monday evening beginners session, which is also open to non-members. 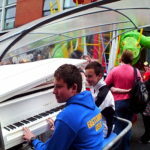 This is for riders from 10 to 15 years of age and runs every Monday (except Bank Holidays) from 6pm to 7pm. Please note that from November 1st 2018, new training session charges apply (as below). Our Monday beginners sessions restart on June 4, 6-7pm. They run every Monday, except Bank Holidays. Any cancelled dates will be shown on this website. Sessions are for riders age 10-15 years of age. 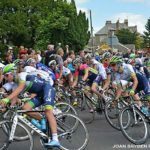 There is a limit of 16 riders per session and they must be booked in advance. Our online booking system is not available at the moment so you should email the club at the following address – ESCVelo.Monday@Gmail.com – to book. Please include the dates you would like to book and the full name and age of the child. The Monday beginners session costs £10 per child and this includes the use of a bike, cycling shoes and helmet. If you bring your own shoes they must have Look Keo cleats. You sign on and pay for the session at our table in the track centre. You will also have to complete a registration/consent form for each child, so please allow time for this on your first visit. 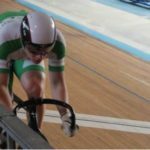 Intermediate – Once riders have learned basic track cycling skills on Mondays, the next step is our Saturday morning session. Saturday and Wednesdays are Club sessions and in order to take part in these you need to be a first claim member of either Eastlands or Sportcity Velo. If you are a British Cycling member you will need to get your licence amended to show Eastlands/Sportcity as your first claim club. 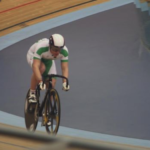 The Saturday session runs from 8am to 11am; it aims to develop a rider’s track cycling ability, including the skills and confidence needed to race competitively and safely. 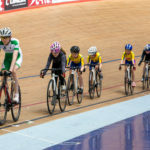 Progression through the Saturday sessions leads to full Track Accreditiation, enabling youth riders to take part in track racing leagues, such as the ACT Monday night track league. 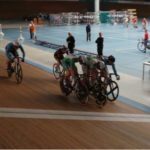 While the emphasis is on developing track cycling skills, riders must also have an appropriate level of physical fitness. 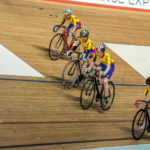 Regular participation in the sessions will help develop this but we advise riders to take part in regular cycling activity away from the track in order to build fitness to start racing. While we do not provide individual coaching our club coaches are always happy to advise riders and parents on appropriate training. Please note that the maximum gear allowed on our Saturday session is 81″ (6.45m or Youth B). 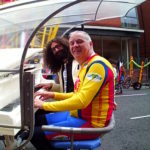 The fee for Saturday Intermediate sessions is £15 (Discounted to £13 for Manchester residents*), bike hire included. Before you come to this session, you must have completed the Monday beginner’s course. Advanced – Wednesdays from 6pm to 8pm. 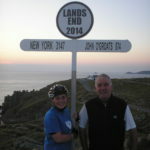 Invitation only for first-claim riders who are actively competing, progressing from Saturdays. Wednesday sessions are challenging right from the warm-up and teach riders advanced techniques and develop fitness and stamina. 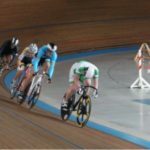 Wednesday sessions are often targeted at specific skills, for example sprint sessions or Madison racing. 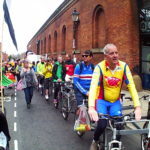 Riders should be taking part in other regular cycling activity in order to develop their all round fitness. These sessions are restricted to fully accredited riders, subject to invitation by the club coaches. The fee for Wednesday Advanced sessions is £12 (discounted to £10 for Manchester residents*). 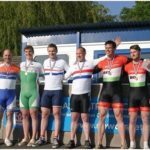 Bikes – Riders are welcome to use their own track bikes at Eastlands Velo sessions, or to use one of the NCC Dolan bikes. 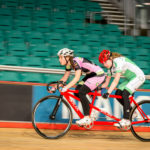 Eastlands Velo also has a limited number of bikes which can be allocated to riders at Coaches’ discretion, to take part in racing events after they have completed Track Accreditation. 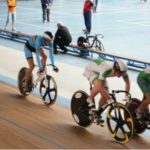 Any rider wishing to take any bike onto the track which they have not previously ridden, should speak to Eastlands Velo Coaches beforehand. Please remember, track bikes are not legal or safe to use on the road, without a properly functioning front brake. 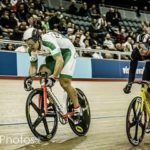 For information on track bike specification or BC gearing restrictions, please see Useful Documents. *Manchester residents include any household who pay council tax to Manchester City Council.